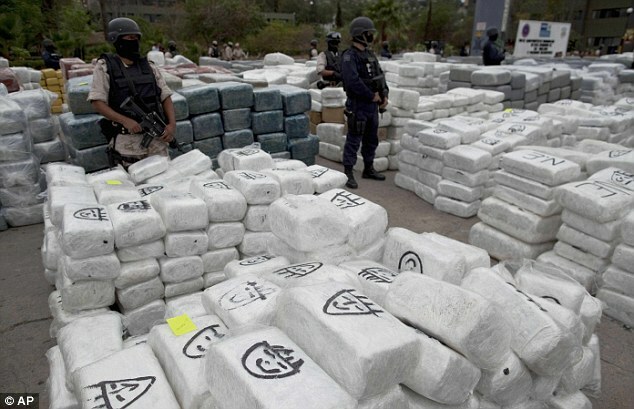 Some 105 tonnes of marijuana has been seized in Mexico, in what is expected to become the country’s biggest ever drug bust. 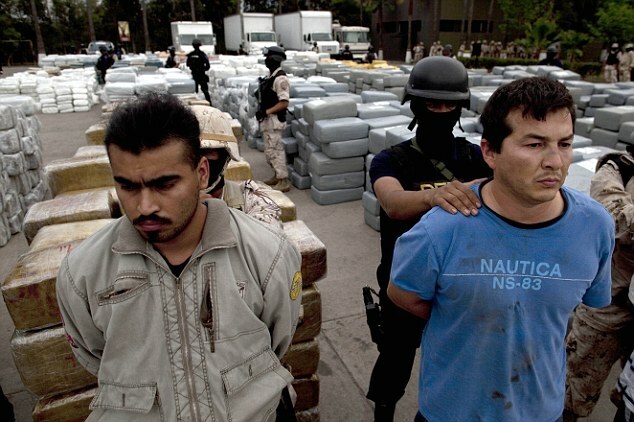 battle between members of the drug cartel and police and soldiers - two people were injured. A shootout ensued before the 11 arrests in the city, which is across the U.S. border from San Diego, California. 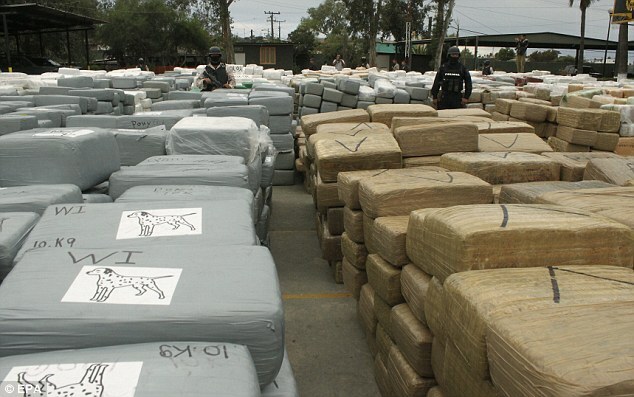 Police and soldiers, acting on information from the suspects, raided the warehouse and two homes, where smaller amounts of marijuana were found. 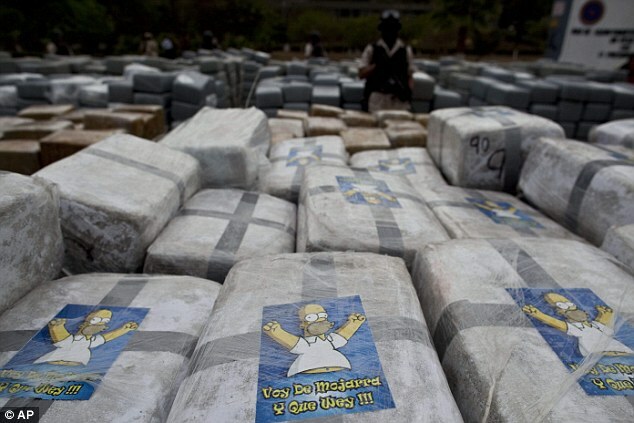 The neatly packaged cannabis - guarded by masked, heavily armed soldiers - was later displayed for the media at Morelos Army Base in Tijuana. 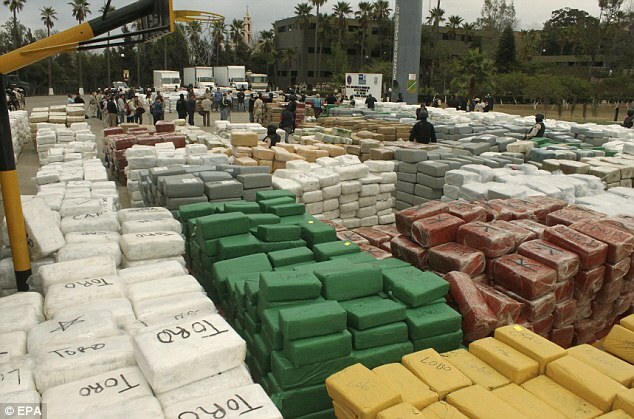 General Alfonso Duarte Mugica, the military’s top commander in Baja California, said the drugs had an estimated street value of 4.2billion Mexican pesos - about £215million. 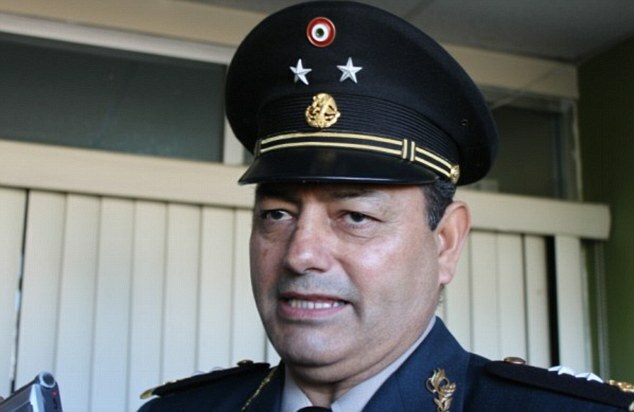 General Duate said that the marijuana was destined for America, and that authorities were still counting and weighing the packages, meaning the amount could increase. The drugs, he said, were wrapped in different colours and labelled with apparently coded phrases and pictures that included cartoon character Homer Simpson. On other drug parcel there were the names of animals, such as bulls and wolves, and on some there were symbols, including arrows. The colours and the symbols are thought to be indicators as to where the parcels were destined. The report attributed the increase to drug cartel efforts to 'diminish reliance on foreign suppliers'. 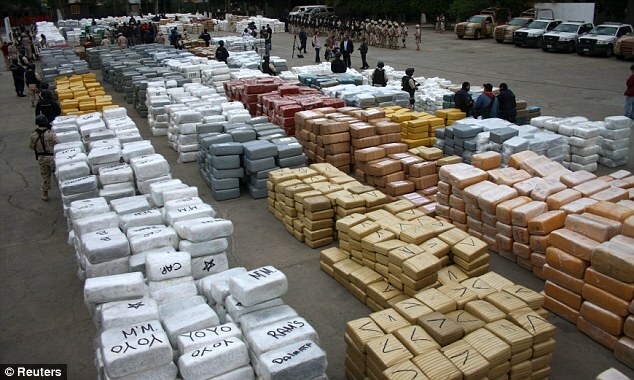 The seize marks a big break through against the cartels in the ongoing drug war in Mexico that has claimed 28,000 lives since 2006. 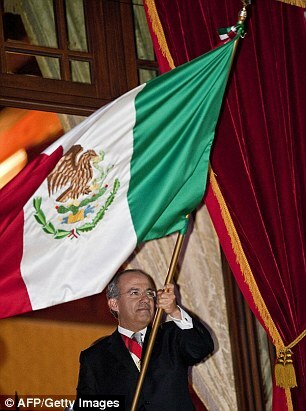 President Felipe Calderon, who recently visited Tijuana, launched the nationwide crackdown four years ago, deploying some 50,000 troops. 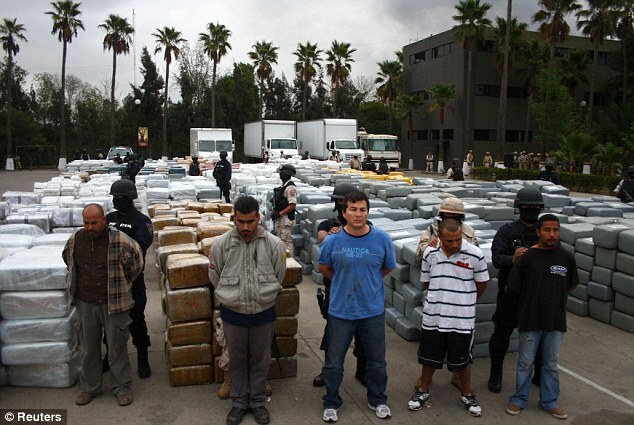 Last year, Mexican security forces confiscated a total of 2,105 tonnes of marijuana, according to government figures. 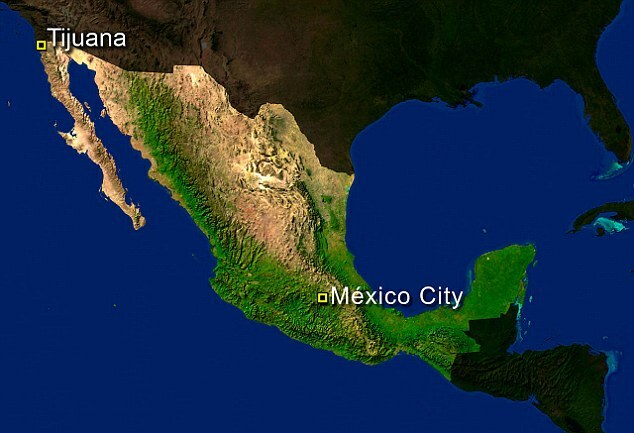 Mexico's border regions, especially the major towns directly on the U.S. frontier, have witnessed the brunt of the conflict with notable spikes in particularly gruesome violence in Tijuana and Ciudad Juarez, which borders Texas further to the east. Violence peaked in Tijuana in 2008 amid a showdown between two crime bosses - Fernando 'The Engineer' Sanchez Arellano and Teodoro 'El Teo' Garcia Simental, a renegade lieutenant who rose through the ranks by dissolving bodies in vats of lye. Garcia was arrested last January. 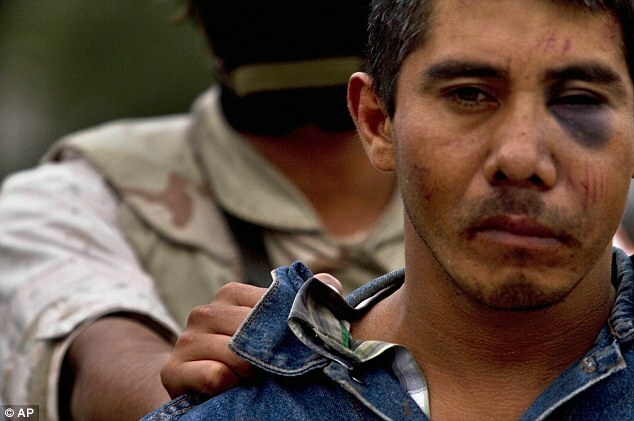 While killings have continued, the most gruesome displays of cartel violence - decapitations, hangings and daylight shootouts - subsided. Last week, in the wake of President Calderon's visit, several bodies were found beheaded and hanging from bridges in Tijuana, leading to fears that the cartels were resuming brutal tactics to send a message that the government is not in control. were hunted down by the gunmen and shot dead near the airport.